the mckenzie tapes — Look at my records! Click above to check out The McKenzie Tapes website! The McKenzie Tapes is an archiving project that aims to digitize an expansive collection of live audio recordings from some of New York City-area most prominent music venues of the 1980s and 1990s. The project is operated by the host of Look At My Records, Tom Gallo. The collection itself was recorded by David McKenzie, a Kearny, NJ-native and former Maxwell's employee. 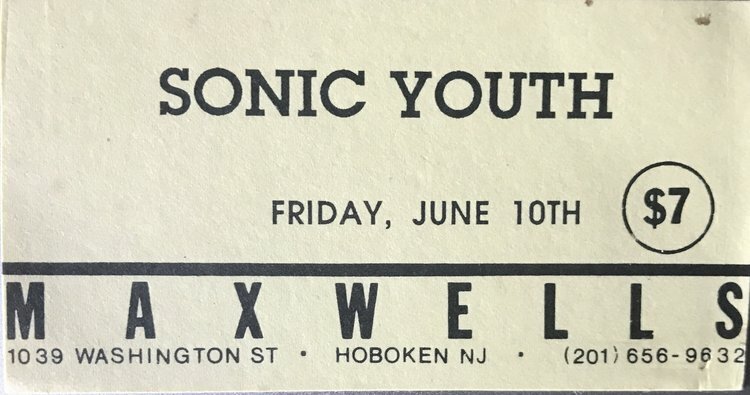 It spans mostly from 1985 to 1993, and includes shows played not only at Maxwell's, but also The Ritz, Irving Plaza, City Gardens, and more. Dave graciously gifted this collection to Tom for the purpose of archiving the tapes online. Each tape in the series is posted on the anniversary of the live performance that it chronicles, and contains any documentation contained within the case, which includes Village Voice ads, ticket stubs, set lists, original photos, and more.